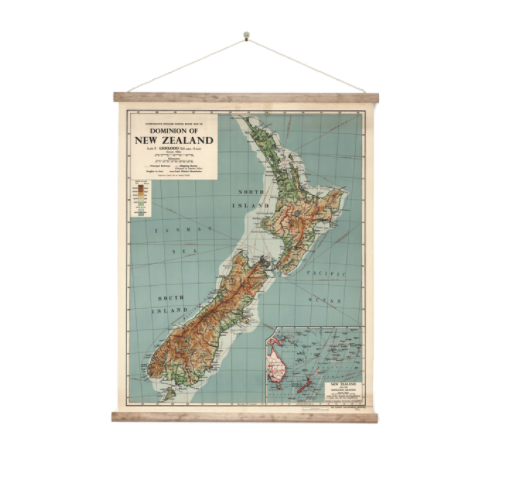 Style your room with this interesting NZ Map. Dominion named from the British Crown in the 1800's. Mounted on aged baton and cotton cord. A digital print on quality canvas for retaining the brilliant colours. Presented in travel tube for ease of travelling and storing. Digital print from an original - you'll see markings of the use history!